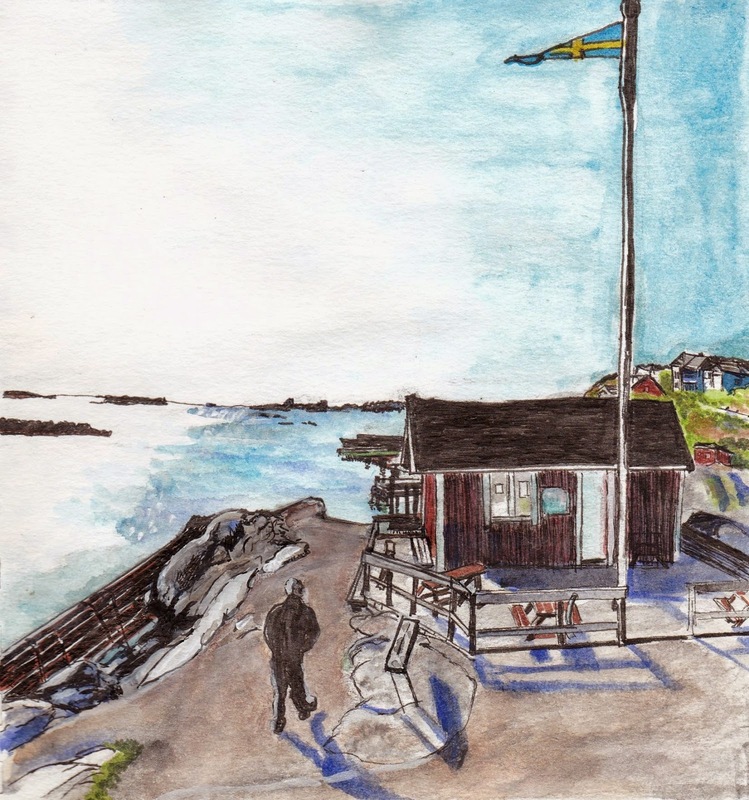 A Belated Virtual Paintout Post- Gothenburg, Sweden | Oh Sarah O ! This is the last Virtual Paintout inspired drawing that I completed in January. In September 2014 The Virtual Paintout explored Gothenburg, Sweden. When I first started exploring the region on Google Maps, I thought that I would be drawn to scenes from Haga, Gothenburg's hippest neighborhood, but nothing was jumping out at me. So I was fortunate when I found this image near the coast that was just screaming to be captured. I spent 2 weekends on this drawing (as opposed to just one) because I became frustrated that I wasn't capturing the rocks just right.